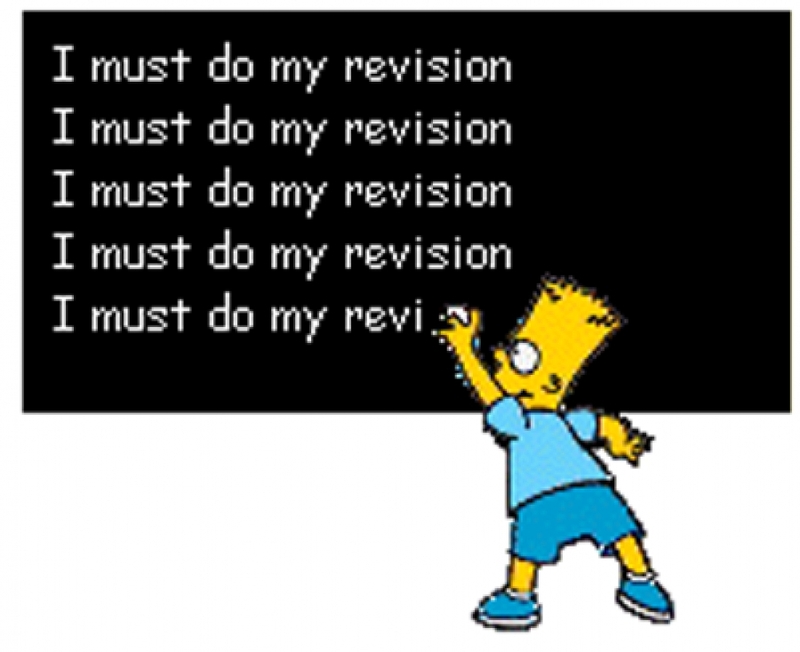 It’s that time of year when we all hope that our year 11, 12 and 13 pupils are starting to “gear up” in their studies, working out where they need to concentrate their revision and decide exactly what they are going to do to revise and prepare for the up and coming external exams. 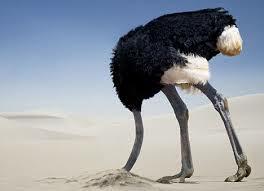 All too often, pupils feel overwhelmed by the task and move into the “ostrich-head-in-the-sand” mode where they concentrate on things that they can already do and put the skills they are less confident with at the bottom of an ever increasing list of things they will sort out “later”. Sarah and I were looking at the whole idea of revision with exam classes separately and then in a staffroom T&L chat started to share some ideas and talk through what we had been doing. The ideas here may be useful in various combinations with a variety of years, abilities, classes and subjects – our aim was to get pupils thinking about what they need to work on, and what kind of revision activities work for them. “I asked students to write down their main revision methods and they then did this quiz. With the results of the quiz, the class then moved into groups based on their learning style. They discussed what they had learned about themselves and how they should adapt their revision plans. They then were given a topic to revise and discussed what would be appropriate to meet their needs. I was able to interject ideas to help them. “Revision – The centre of the circle has the topic name; the next layer either advantage/disadvantages; the third layer the analysis of the advantages/disadvantages made and the final layer the evaluation. This helps students to move beyond fact based revision and is a useful tool which they can then use for themselves independently. In my year 11 maths class I felt it was important to tackle the “head-in-the-sand” issue early, as I wanted pupils to sort out problems with key topics now, rather than leave them until the last minute when the pressure of time means anxiety can make ideas seem more difficult than they really are. I showed them this video which made them laugh and also set them thinking. Then we spent a lesson identifying which were their personal target topics and talked about a variety of ways to revise. Pupils wrote their three most important topics onto post-it notes which I collected in at the end of the lesson. This powerpoint guided the lesson, but having specific tasks to do at each point was what kept the class focussed. All left the lesson with a list of target topics, the beginnings of a revision plan, ideas of different ways to revise, and the comfort of knowing that I had all their target topics on post-it notes to allow me to plan revision lessons over the coming weeks. For me, this is “Taking Ownership” at it’s best. 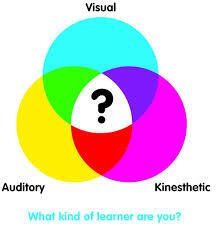 Look out for the Learning Lunch next half term where we will talk about activities and games for revision in lessons. I tried something last week with my mixed ability year 11 Economics class and thought I’d share the idea as it proved so successful. The lesson was all about “Economics Bingo”. I have to teach year 11 some pretty deep economic concepts in this final year, and we had just been applying several of the ideas to the current issues around London airport expansion options. I showed them a short news clip (http://www.bbc.co.uk/news/uk-25411107) about a report on the expansion and asked them, in pairs, to complete the “bingo” sheet (see here for a copy). The class had been taught all these concepts already but over the whole term and in a variety of different contexts. Some of the terms were referenced directly in the clip, but about half were not – they had to dig them out of the issue. The key element was that they had to put in the blank boxes a written explanation of how each concept related to the airport case study. The final element was that I made it like bingo, as in the first pair to claim all 8 concepts won a prize. What worked well was that as I checked the first claimants’ sheet, I told all the others to continue as the first team may not win (they didn’t – I was fairly confident that this might happen as it was challenging to complete quickly). I then took in all others in time completion order and assessed them in class – giving back any that were not entirely correct for resubmission. The class were really engaged and the overall quality was excellent and the activity really made use of the “Use Information” skill we have been developing in the Skills for Success programme. There were a couple of pairs that did not finish but they still got 5 – 6 of the concepts correct. Winning entries were read out and discussed with the class at the end.